(formerly Bali International Air Service) (subsidiary of Bouraq Indonesia Airlines) (BLN) (Jakarta) 1973 - 2005. Photos. Framable Color Prints and Posters. Digital Sharp Images. Aviation Gifts. Slide Shows. 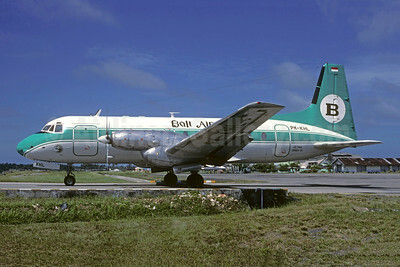 Bali Air Hawker Siddeley HS.748-216 Series 2A PK-KHL (msn 1735) DPS (Christian Volpati Collection). Image: 945631.